Hi loves! We're so disbelief! Welcome to the New year! 2012! Omggg u're finally here!... Hows your christmas, new eyars & holidays celebration? We hope you guys had a fabulous time wherever you are always in good spirit; always surrounded with love, happiness & joy!.. First, its good to be back from a long break. :) We're so excited with many new things coming up in Songket Affairs. New year, new resolution, new hope, new ambition. So what will your resolution be this year? And so.. we're back with wedding season in full swing, this month, we got so many *New Changes* coming up - from our site to our blog to inspirations and of course not forgotten; our coming New Issue! 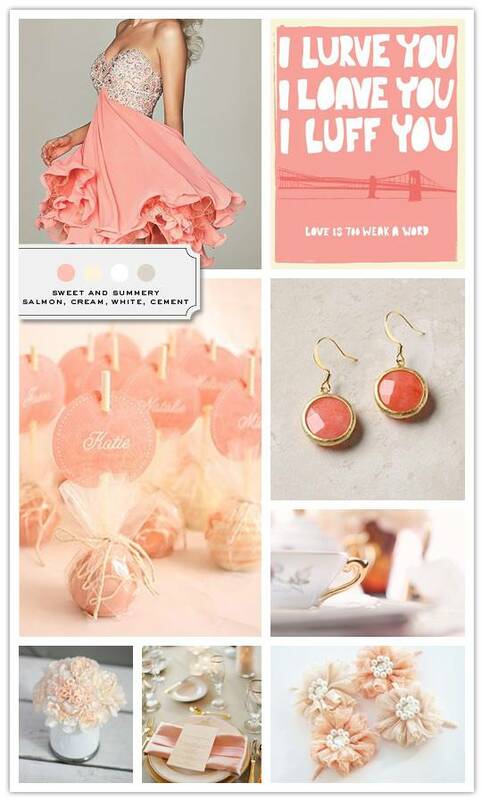 So.. before we get lil jumpy jumpy, lets celebrate with something sweet...like this inspiration board. We love how simple jewelry, lots of carnations, vintage cutlery, beautiful hair pieces, sweets as favors, shorts dresses brings out the perfect blend... and brings out this perfect color. dreamy.